Robert Elliott Pennington was born in Durham in September 1894, the eldest child of James Pennington and his wife, Ruth (nee Donald), who were married in Durham in the Spring of 1893. The couple had six children from their marriage, but two of the children died before April 1911. The Pennington family were all born in County Durham and were still living there in 1911, where James Pennington and his son Robert were both working as miners. The Penningtons had moved to Ossett by November 1915, but appear not to have arrived before 1913. It is known that the family lived at Highfield Cottages, Dewsbury Road, Ossett and later at Little Town End, Ossett. Robert Elliott Pennington of 4, Highfield Cottages, Dewsbury Road, Ossett, a tram conductor, aged 21 years and 40 days, enlisted for the duration of the war at Dewsbury on the 6th November 1915. He was 5’ 8” tall, weighed 140 lbs with a 38” chest measurement. His physical development was described as 'satisfactory', but that 'his teeth required attention'. On enlistment he joined the 40th Division, Royal Engineers, and was posted to army reserve for 12 months, embarking on the 6th November 1916 with the British Expeditionary Force 'en route for Salonika (Greece)'. He was later transferred to the 229th Field Company, Royal Engineers with the service number 107206, although the 229th Field Company as part of the 40th Division never served in Salonika and Driver Pennington was serving with the 108th Field Company of the Royal Engineers in the 26th Division at the time of his death. 26th Division took part in the Battle of Doiran on the 18th and 19th September 1918 and the Pursuit to the Strumica Valley from the 22nd to the 30th September 1918. Forward units crossed the Serbian-Bulgarian boundary on the 25th September 1918. Hostilities with Bulgaria ceased two days later. The Division advanced towards Adrianople (as the war with Turkey was still underway) but this also soon ceased. 26th Division successively became part of the Army of the Danube and then of the Occupation of Bulgaria. Demobilisation began in February 1919, with Italian troops arriving to replace the dwindling British presence. By the 10th May 1919, the Division ceased to exist. The 26th Division had suffered casualties of 8,022 killed, wounded and missing during the war, but vastly larger numbers sick with malaria, dysentery and other diseases rife in the Salonika theatre. After almost two years in Salonika, Robert was admitted to the 78th Field Hospital on the 3rd November 1918, suffering from influenza. On the 5th November, this progressed to bronchio-pneumonia and became widespread throughout his lungs. Robert Pennington died on the 12th November 1918, the day after the Armistice was signed. The army subsequently confirmed that the disease which afflicted Robert commenced, and was contracted, on active service. He had served in the army for 3 years and 7 days. On the 21st January 1920, the Army returned Robert’s effects to his mother. These comprised his disc and strap, ring, burnishes of rope, his dentures, button hook, letters, a note and some postcards. Robert Elliott Pennington was posthumously awarded the British and Victory medals, but not the 1914/15 Star, since he enlisted before the 31st December 1915, but he did not serve overseas until after this date. 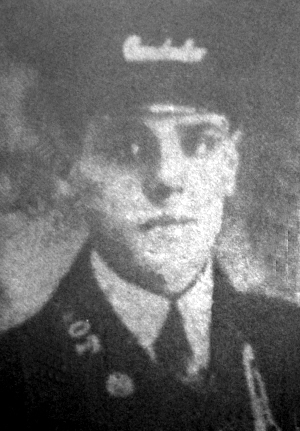 Driver Robert Elliott Pennington, aged 24 years, died on the 12th November 1918. He is buried at grave reference F.7 at the Plovdiv Central Cemetery, 1 Plovdiv, Bulgaria. Plovdiv is a city on the main road from Sofia to Istanbul. The Commonwealth servicemen buried at Plovdiv Central Cemetery died either as prisoners of war or while serving with the occupying forces following the Bulgarian capitulation in September 1918. It was formerly called Philippopolis (St. Archangel) Cemetery and was formed after the Armistice by the concentration of graves from the following sites :- Philippopolis Protestant Cemetery; Philippopolis Roman Catholic Cemetery; Karagatch Protestant Cemetery; Kostenecbanja British Cemetery; Kurtova Konare Civil Cemetery; Mustafa Pasha British Cemetery and Tatar Pazardzik Protestant Cemetery.